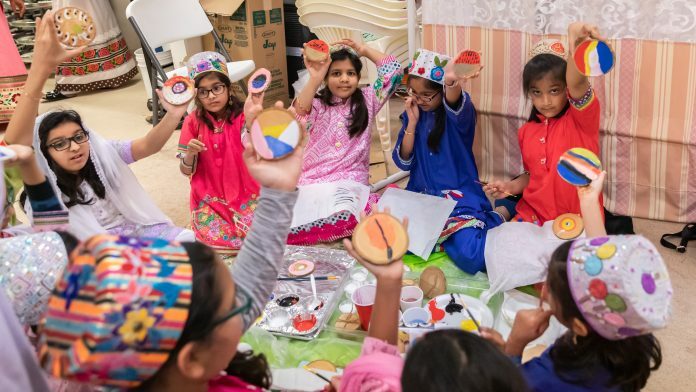 The Bohra community in Plano, Texas organised a fun filled event themed ‘Your Background and Beyond,’ which aimed to create awareness about conservation while teaching new skill sets. Inspired by His Holiness’ TUS sermons wherein he continually emphasises the need for environmental preservation and conservation, more than 150 community members participated in the event. Participants were given a talk on the negative impact of invasive plant species that might have taken root in their backyards on the native species, how to identify them and how to remove them without causing harm to the environment. They were then taught how to make practical household items such as coasters and decorative jewellery from the remains of uprooted invasive plants so as not to let them go to waste.